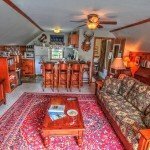 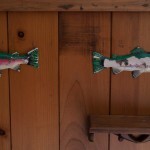 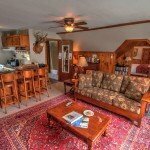 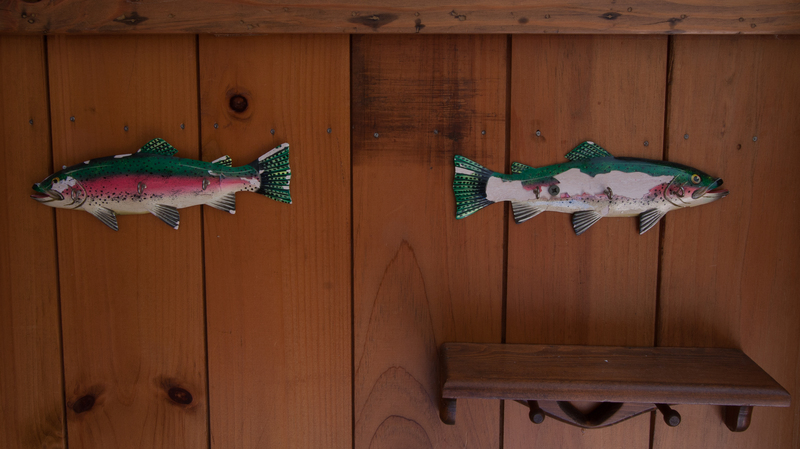 The second floor unit of our River House Cottage, affectionately known as the “Trout River Suite,” has the feel of an old hunting & fishing lodge, complete with tackle hanging from the wall and several mounted deer heads. 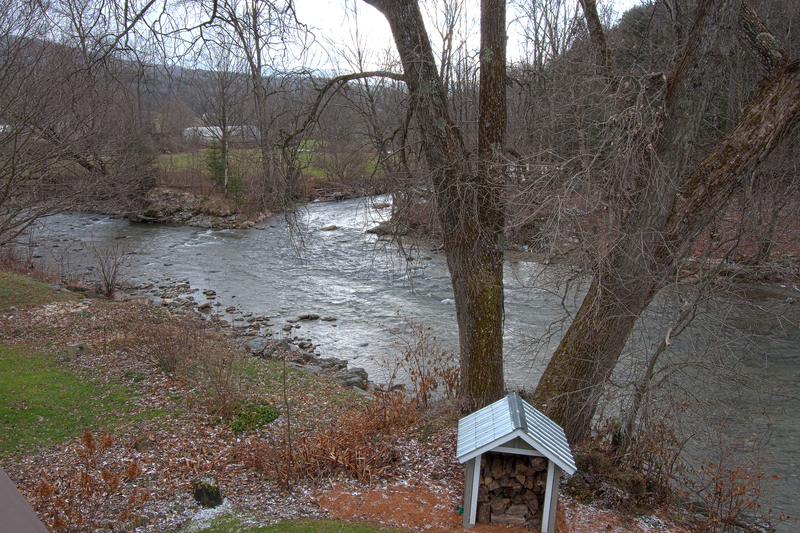 Stay in this second floor unit and you will have a great view of the winding creek behind it – the Trout River – as well as the mountains beyond. 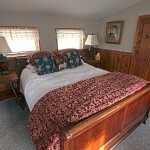 As with all our units, it is fully air-conditioned throughout. 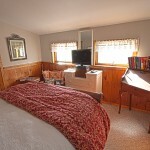 The Trout River Suite is filled with tons of antiques bought at local auctions. 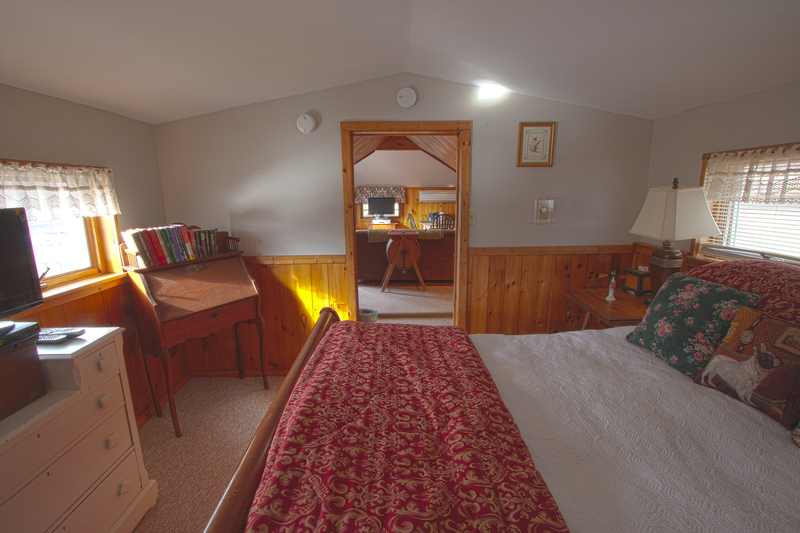 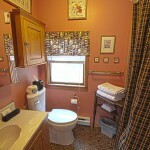 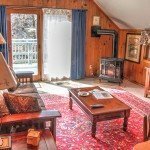 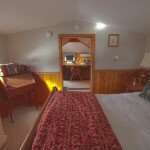 The walls are paneled in knotty pine, and the floors are newly carpeted throughout. 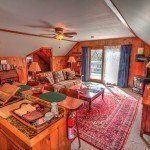 The living room has a new full size sleep sofa, large pine armoire with cable television and DVD player, room sized oriental rug, plenty of lighting, and tons of storage for your personal effects. 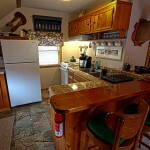 Also included is a cast iron gas log fireplace. 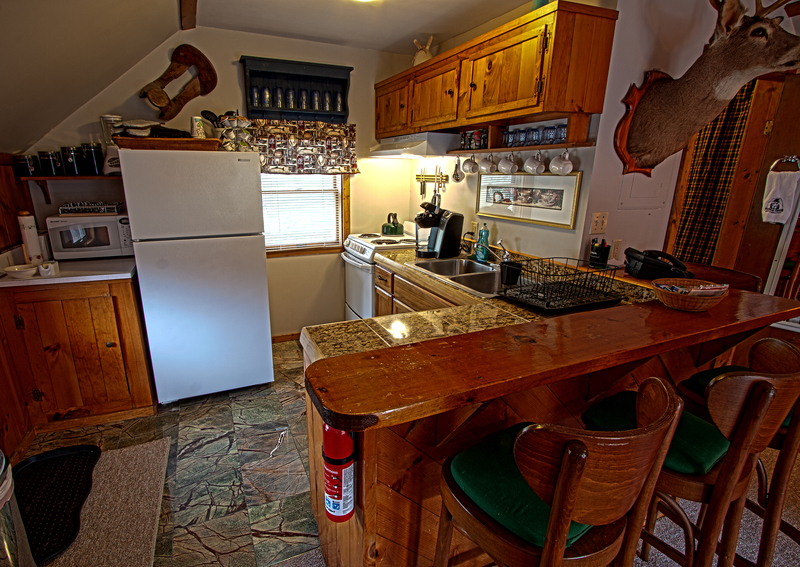 The full sized kitchen has a bar counter seating four more, a microwave, gas oven, full refrigerator/freezer, and all the dishwater and cooking utensils you will need. 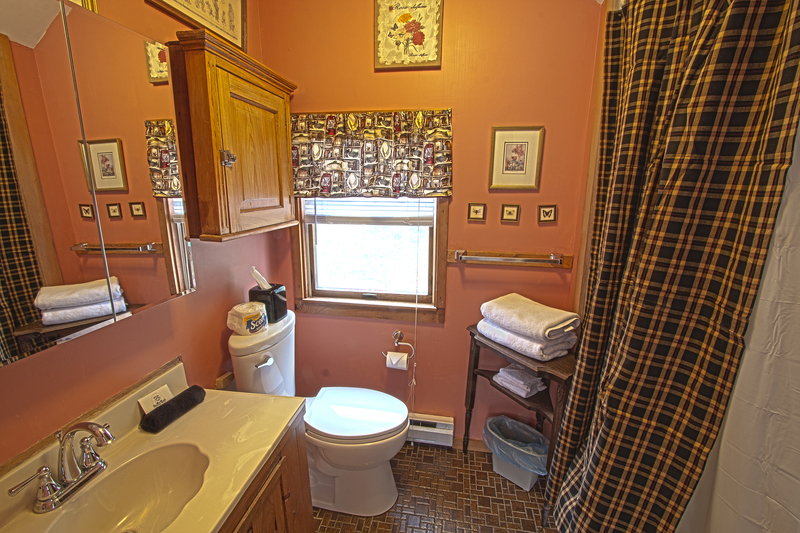 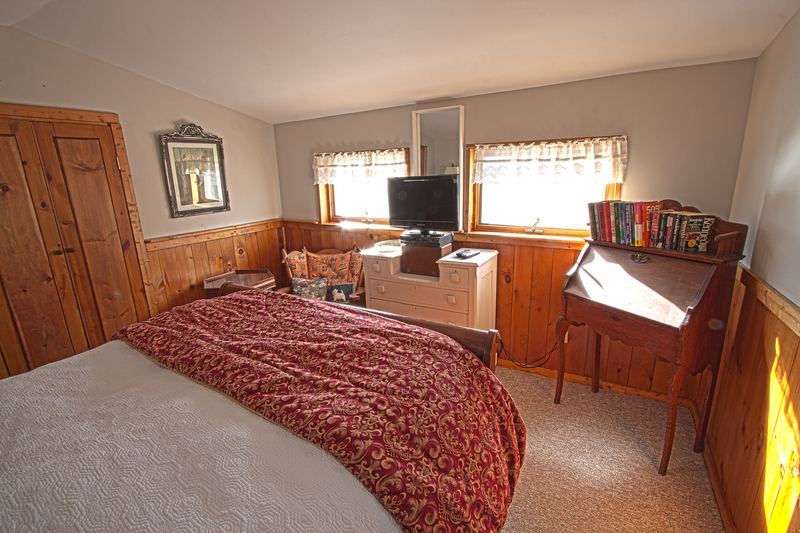 The bath is full sized and features a Jacuzzi tub with shower, plenty of storage space for your toiletries, along with an antique pine medicine chest, antique mahogany table covered with cotton towels, and a window looking towards the main inn. 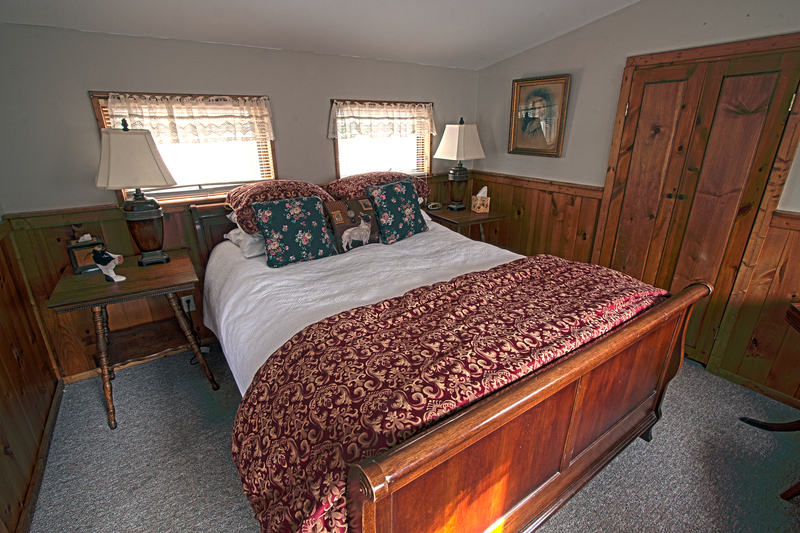 The bedroom on our second floor features an antique queen-sized bed. 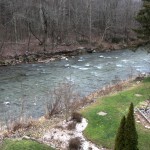 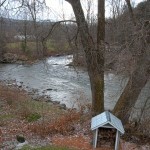 The views from the deck are wonderful, and you get a great panorama of both the mountains and the river. 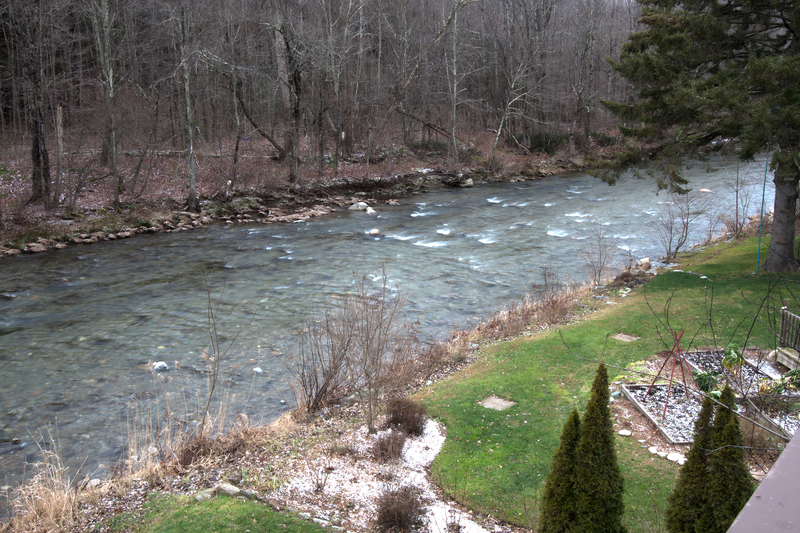 Although our River House and Carriage House guests usually find everything they need within their suites, they are encouraged to enjoy the public areas in the Main Inn and our river bank along the Trout River. 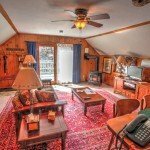 We always have fresh baked goodies, coffee, tea and spring water available in our Fireplace Room in the Main Inn, along with board games, puzzles and reading materials.